I don’t know about you, but we are barely into the deep freeze of winter and I am so over it!! Snow, ice, slush be gone! While we can wish for green grass and flip flop wearing days, at least we can warm ourselves up from the cold with our favorite whiskey and a bowl of homemade soup. Much like the chili from my last post, this is a stick to your ribs kind of recipe. It also pays homage to an essential and super busy grain in the whiskey making process – barley. 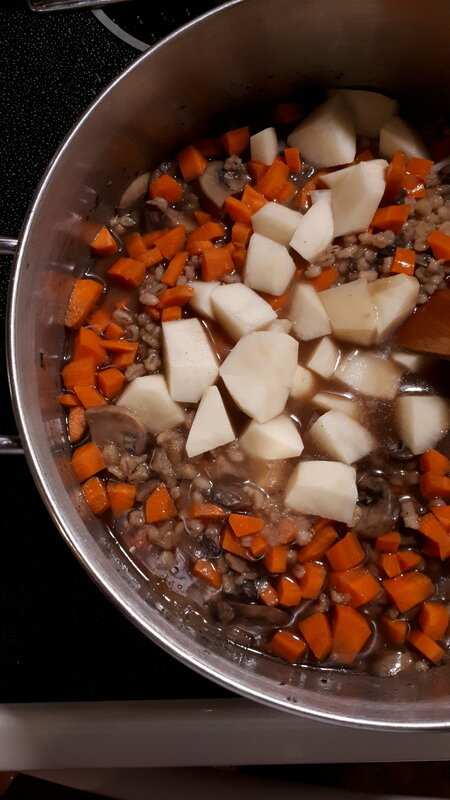 I love the nuttiness the barley adds to this soup; coupled with mushrooms, you get umami overload!! While I take comfort in a bowl of this soup, I’ll also take comfort that we are nearing the end January and one step closer to spring. I used beef stock as the base because I find that while beef pairs so well with bourbon, with the added flavors from the barley and mushrooms it gives this soup another level of flavor that is richer and deeper with a hearty earthiness. You can use vegetable or chicken stock and it will be still be delicious, but the beef stock just takes it to the next level. Heat the oil in a large stock pot or dutch oven over medium heat. Add the onions and cook for 3-4 minutes..
Add the barley and stir to coat the barley, cooking for about a minute. Add the 1/3 cup of bourbon, stirring to reduce, allowing the alcohol to burn off. Add 6 cups of the stock, the water, bay leaves, salt and pepper and bring to a boil. Reduce the heat, give it a few more stirs, pop on the lid and simmer for about an hour. While the soup simmers, pour yourself that bourbon and sit back and appreciate the smell of a that simmering pot of homemade soup you are making. That wasn’t so hard was it? Taste test time! Adjust your salt and pepper if needed. Add the veggies and return to a boil, reduce heat and simmer for 20-30 min. I like to give it stir every once in awhile as it does thicken. 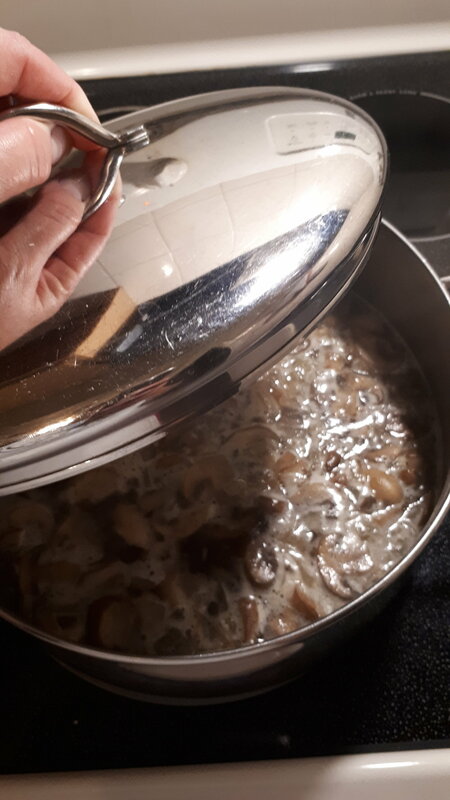 I like this soup a bit on the thick side, like a stew, but you can use the remaining stock to thin the soup down to your liking. Remember to remove the bay leaves before serving. Serve with biscuits (mmmm…biscuits!) or a loaf of fresh bread. This soup can be made ahead and reheated and it also freezes well once cooled down. You will find you will need to add some stock or water if you are reheating. Oh…almost forgot to mention - don’t be shy to add any other veggies you have hanging around, the more the merrier! I’m thinking parsnips, sweet potatoes, turnip…toss ‘em in there! Have questions about the recipe or want to share your experience making this? Leave a comment below or send a direct message to me @canadianproof. 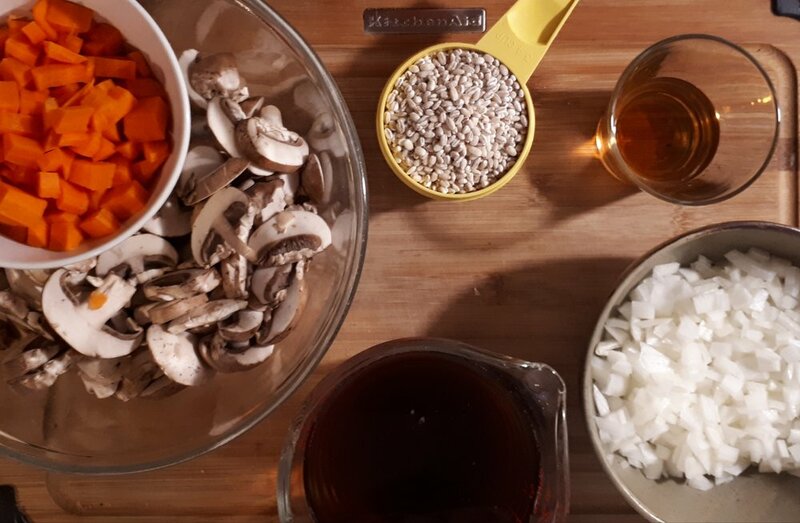 Tag the Whiskey Corner and show off your pictures of your Bourbon Beef Barley Soup!